Picture windows prices vary anywhere from $250 to $2,500 fully installed, sometimes they can cost even more. We offer two picture windows prices, one is what some customers paid and the other is the general price range to give you an overall idea. Entry level picture windows prices are usually a cheaper frame either a vinyl or composite option. The glass is usually a low-E glass, sometimes a fill is included. These glass panes can be double or single. The size of the window will be stock or standard in size. When choosing standard picture windows prices you will probably be offered a better frame, this can be uPVC windows, composite or fiberglass. These are usually larger windows, in some cases they are a number of mulled panes with an upgraded glass package which includes a krypton or argon fill. When it comes to the higher end options the frame is considerably improved, you may be offered steel, aluminum or wood clad windows or another higher end frame material. These windows are usually large or are a number of windows which are mulled together. You can expect energy efficiency glass, in some cases you will be offered triple or double glazing, insulation, uv coatings, spacers and krypton or argon fills. The cost to install a picture window can vary dramatically and cost anything from $50 to $1,500 for each window. These prices vary because it depends on the work involved during installation. If it's just a simple swap without any major work you'll only pay around $50 per window. Once custom work is needed with a lot of precision work, this price can increase to $1,500 per window. For complete cost estimates, try our window price calculator. Entry Level picture windows prices start at $250 and top out at $500 for each installed window. 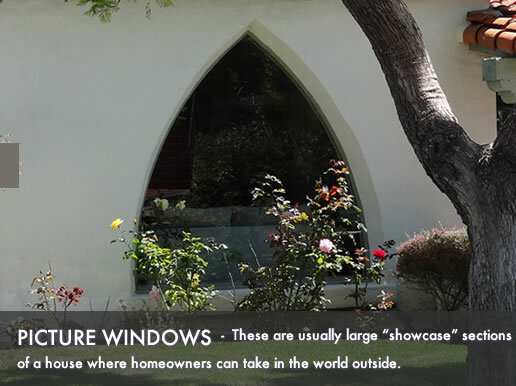 are among the companies that manufacture these windows. Mid range costs on picture windows start at $500 and top out at $1,000 for each installed window. Sunrise and are among the companies that manufacture these windows. High end costs on picture windows start at $1,000 and top out at $2,500 for each installed window. Pella, Infinity, Marvin Ultimate and Andersen are among the companies that manufacture these windows. Infinity offer an Everwood interior with a fiberglass exterior and Marvin Ultimate is a wood clad option.